KARACHI: Cycling alone isn’t safe for a girl, they said. Leave it to the boys, they said. 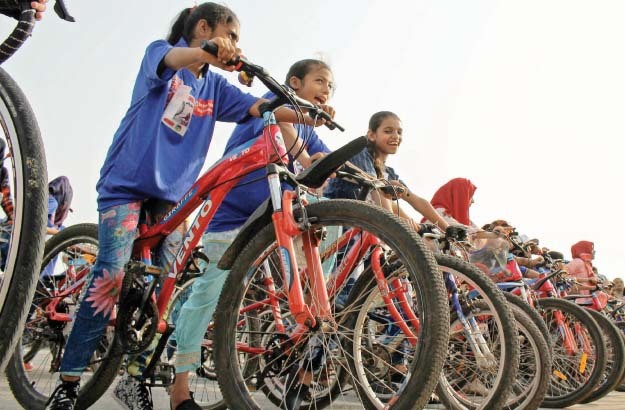 Two phrases, most girls gathered outside the Captain Farhan Ali Shaheed Park for a day of cycling, had heard from family, friends or colleagues at least once if not more in their lifetime. In our society, when a boy goes cycling he is occupied with thoughts of how to ride better or he merely views it [the cycle] as a means of transport, but when [and if] a girl goes cycling, she has an added task – to watch her back for the moral police brigade, stares from passersby and men on the roads waiting for an opportunity to harass, explained one participant. 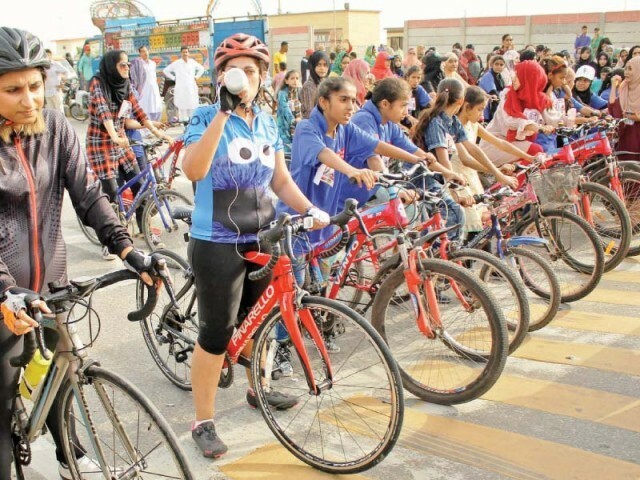 On Thursday afternoon, all eyes were on the around 80 girls, aged between 10 and 25, from across the city who had come to Sea View to cycle, have fun and participate in the event, ‘Aao Cycle Chalaen [Let’s go cycling]’, organised by the Lyari Girls Café to mark the International Day of the Girl Child. This day is an annual initiative launched by the United Nations to support and empower young women across the globe. This year’s theme focused on helping girls overcome adversity. A representative of the Lyari Girls Café and the event organiser, Kiran Usman, said the event was an effort to advocate female empowerment and provide young girls across the city a platform to reclaim public spaces. As everyone, especially the participants, anxiously waited for the race to start, 18-year-old Unzella, an English language student at the café, excitedly said she had finally learnt how to ride a two-wheeler last week with the help of her brother. However, she doesn’t cycle regularly. Her parents don’t allow her to. “It was difficult getting permission to come here today. My parents finally allowed me after assurances that my friends were going too and my brother dropped me,” she shared. A group of excited girls surrounded Unzella, each waiting to share their story. Rimsha Mohammad Qasim, 19, had a similar story to tell. 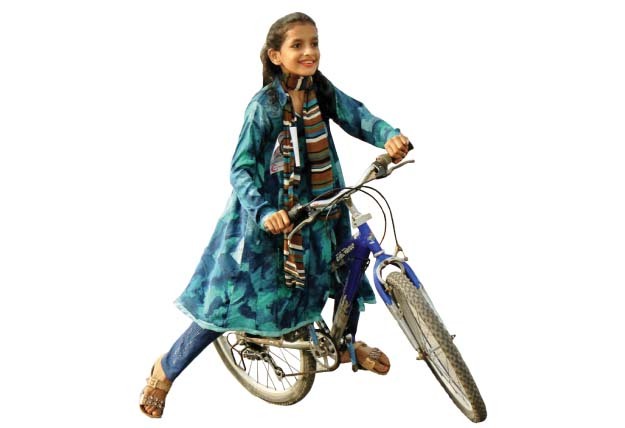 “I’m not allowed to cycle because my parents worry about what our uncles or family friends would say if they saw me [a girl] cycling on the road,” said Qasim. Full of dreams and ambitions, she fears she will be unable to follow her passion because of family restrictions. Chiming in, Qasim’s friend, Mehwish Musa, also 19, said she, along with her other group of friends drag Rimsha everywhere and try to convince her parents. However, Rimsha, has accepted that her reality will not allow her to do things she wishes to, such as a job. She shared that she had rejected many job offers due to various familial issues. The group of girls, although they are not allowed to cycle, play football regularly. Owning the streets, the girls started off the race with a long chant of the event slogan, ‘Aao Cycle Chalaen’. Loud, unstoppable and fierce, these girls meant business. “I’m here to win,” 12-year-old Saba from Lyari confidently told The Express Tribune. For some, this day wasn’t a fight against patriarchy or a fight against anything at all for that matter. It was simply what it should be — a day to cycle their hearts out. For them, it was a hot Karachi afternoon and they just wanted to ride in the sunshine without a care in the world. They don’t care for big words such as freedom and empowerment. They live to do better, feel better, ride better. Nobody could stop these young girls from becoming their best — surely, not the burden of patriarchy. Meanwhile, for others, this day meant victory. A victory in the constant war against patriarchy; against the rickshaw driver who hoots on seeing a girl across the street; against the parents who worry more about log kya kahein gay [what will people say? ]; against the annoying aunt who declares that cycling is unbecoming of a lady. Raheen, who is also the cycling coach for the girls from Lyari and teaches English at the Lyari Girls Cafe, shared that they had to face a lot of difficulty when they initially started the café. “We had to convince parents to send their girls. Initially, they were unwilling but now 80% of them blindly trust us with their daughters because the café is restricted to girls,” she said. Speaking about girls in the city being unfriendly with public spaces, journalist and activist Afia Salam said girls in Pakistan have limited opportunities to openly participate and enjoy collectively. 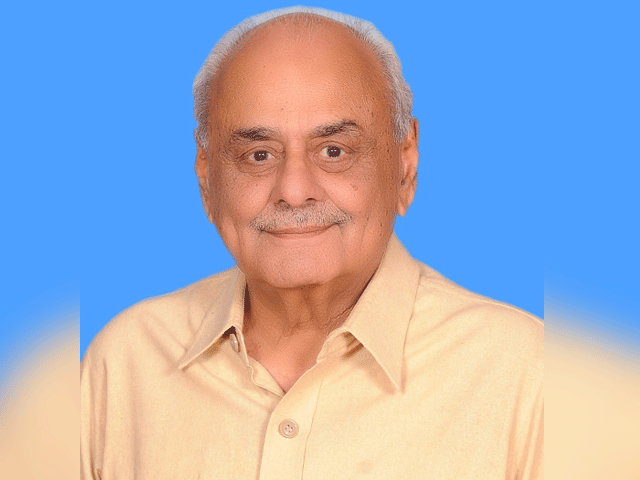 “They have come out of their comfort zone into another area of Karachi [Clifton],” said Salam, referring to the majority of the girls participating in the event, who were from Lyari. She hoped that others would see the spirit of these girls and cheer them on as encouragement so they could eventually have support in the form of formal training and professional coaches. “This is the beginning of good things,” she said. The day also included tableau and singing performances and football and boxing matches between the participating girls. The event was also attended by the deputy head of mission from the German consulate and others from civil society. Published in The Express Tribune, October 12th, 2018.